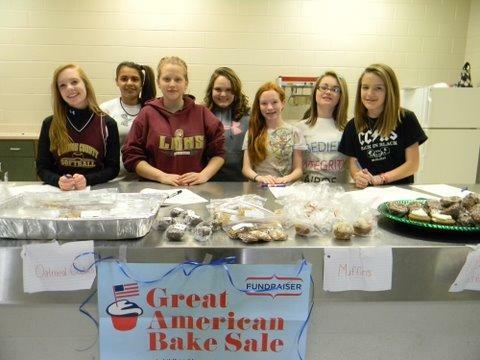 The Woodbury Grammar School 7th and 8th grade 4-H Clubs recently held a "Great American Bake Sale." This is a national effort that encourages Americans to host bake sales in their communities to help end childhood hunger. The team pictured here: Rachel Pate, Jessica Elmy, Nichole Clemmons, Hannah Nave, Hannah Pate, Megan Deatcher, and Claudia Funderburk raised over $150. A special thank you to Jean McCrary at Stones River Hospital who donated morning glory muffins toward the effort.